Bears are coming out of hibernation across Alaska, and they’re looking for food. Alaskans live and recreate in bear country, and it’s important to know how to be safe around bears. That includes how to keep bears safe from people, especially keeping bears out of garbage and human-provided food sources. It’s also important to know what to do in the rare instance that a bear behaves in a threatening manner. 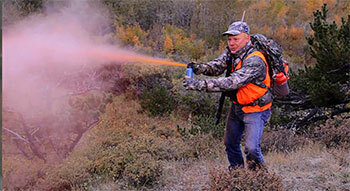 A new 60-second video that demonstrates the proper use of bear spray is featured on the Fish and Game “Living with Bears” website. It’s called Bear Spray Demonstration for Hunters, with Craig Boddington, but it really applies to anyone who might encounter a bear. Produced by the Interagency Grizzly Bear Committee and the Wildlife Management Institute, it’s a good primer on the use of bear spray. Another relatively new video teaches elementary-age students about basic bear safety including tips for avoiding bears, minimizing attractants around homes and camps and what to do if you see a bear. It’s called, HEY BEARS! How YOU Can Stay Safe in Bear Country. This 19-minute video was produced by ADF&G with Wayne Hall-Stoutman Productions and Mirror Lake Middle School, and features middle school kids addressing the target audience – their own peers. As with all videos embedded on the Fish and Game website, the control bar on the bottom of the embed frame lets you go full-screen. 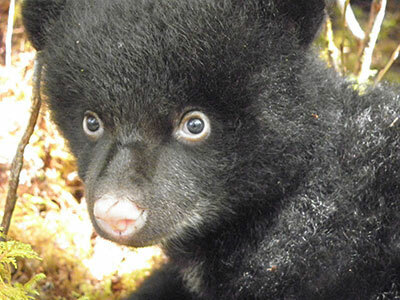 The species profiles provide more about brown bears or black bears. The hunting section of the ADF&G website offers insights for hunters for both black and brown bears.